The American Police State | Fight "Gang Stalking"
Everyone has either personally experienced – or witnessed someone else experience – a dog straining against its leash to the point where the dog is essentially taking its owner for a walk, rather than the other way around. Currently, America is the dog owner, and the dog taking us for a walk is the government-industrial complex of intelligence and law enforcement agencies (the DOJ, FBI, DHS, CIA, NSA, etc. ), the Pentagon, local law enforcement agencies, and the corporate partners of those entities – the military and security contractors such as Lockheed-Martin, Pinkerton Security (now Securitas), and Blackwater (now “Puppies and Rainbows, Inc.” or whatever they’re calling themselves these days). The dog is leading the way and dictating the pace. People familiar with “gang stalking” – or for that matter drone assassinations – might say that the dog has slipped its leash altogether. Or to use the taxonomy of George Orwell’s Animal Farm, the pigs and the dogs have formed a profitable unholy alliance which is now almost impossible to rein in, because at the top, things are done in secret (for “national security” reasons) and because jurisdictional and public-private boundaries have been largely erased. More than half of the employees of the NSA, for example – one of seventeen intelligence agencies – are private contractors. Spying on Americans – and incarcerating them – are lucrative businesses, and the privatization of such activities helps the government escape liability for abuses of power. In June 2013 Democracy Now! interviewed Christopher Pyle, a former military instructor who exposed the monitoring of millions of Americans by the CIA and the Army in the 1970s – and who became the target of a smear campaign to discredit him as a result. He was asked about the NSA “PRISM” scandal revealed by whistle-blower Edward Snowden. CHRISTOPHER PYLE: It’s important to note that the vice chairman of Booz Allen happens to be Mike McConnell, who was former director of NSA and of national intelligence. There is a revolving door between high government positions and private corporations, and this revolving door allows these people to make a great deal more money upon leaving the government, and then being rented back to the government in a contractor capacity. And that’s part of the corruption of the system. Presidents, most members of Congress, and the Department of Justice overwhelmingly defer to the will of U.S. intelligence and law enforcement agencies and the Pentagon – rather than, for example, civil libertarians and peace activists, because that’s the easiest course for them politically. The same dynamic is at work on the local level, where it is almost always easier for mayors and city council members – and the local news media – to reflexively side with the police. America’s military, police, and intelligence expenditures – and its incarceration rates – dwarf those of other countries. The city of New York reportedly has a thousand police officers assigned to work exclusively on counterterrorism duties. That massive security infrastructure might be less disturbing if Americans trusted their government. That is not the case though. A Rasmussen Reports poll published in April 2014 found that more than twice as many American voters regarded the federal government as a threat to their rights than those who viewed the federal government as a protector of their rights. Much of the abuse of power by America’s government has been rationalized by the need to support “The War on Drugs” and “The War on Terrorism,” although the moral and practical assumptions of those campaigns are constantly disproved. In addition to being inherently violative of individual liberties, the drug war has been a massive failure since its implementation by President Nixon (for the same obvious reasons that alcohol prohibition was a disastrous policy). The policy is sustained by inertia, self-righteous hypocrisy, ignorance, and the political influence of the parasitic entities which profit from it, such as the Drug Enforcement Agency, and the incarceration industry. In addition to the enormous social and financial costs, prohibition has had a corrosive effect on the moral integrity of the nation’s police agencies. Police corruption cases involving drugs are so common that the anti-prohibition organization StopTheDrugWar.Org publishes a weekly review of drug-related crimes by police officers, and the group never runs out of news. As with supporters of the drug war, apologists and opportunists who unconditionally support the strategies and tactics of the “War on Terrorism” rarely acknowledge either the associated diminution of civil liberties or the blow-back generated by the U.S. government’s tendency to throw its weight around – as argued by people such as Michael Scheuer, Glenn Greenwald, Noam Chomsky, Ron Paul, William Blum, and others. Critics are usually marginalized by the two major political parties and by the establishment news media for daring to even question the government’s strategies and tactics. America’s Founders would be horrified at the extent to which we have become a nation of sheep. We routinely surrender our rights to authority figures in the name of security. The common assumption is that Americans should assent to whatever the government demands – rather than having the government answer to the people. Americans need to reassert control over their government; we need to train the dog to heel. Part of the cultural problem then is that we have become docile. The other closely-related problem is ignorance. Americans are shockingly uninformed of the activities of their government. A March 2011 Newsweek poll found that 73 percent didn’t know why we fought the Cold War, and 29 percent couldn’t even name the vice president. Perhaps most disturbing, 44 percent were unable to define the Bill of Rights. Naturally, even fewer Americans are familiar with scandals such as Operation Mockingbird, the Pentagon Papers, Cointelpro, and MK Ultra. No one could possibly assess the plausibility of the reports of the counterintelligence abuses sometimes referred to as “gang stalking” without a background knowledge of such examples of extreme corruption. A passive and ignorant population is ideal for counterintelligence operations. The public is more easily deceived, and there is a deep supply of potential snitches and perps for Stasi-style bullying of dissidents and others. “Gang stalking” (Cointelpro Version 2.0) is one of the extreme manifestations of America’s tendency toward militarism and police state governance – along with drone assassinations, warrantless surveillance of email, the Justice Department’s aggressive prosecution of whistle-blowers, and countless other outrages against the U.S. Constitution. Counterintelligence activities are inherently difficult to explain to the public. They are not impossible to explain however. Advancements in digital technology have enabled elements of the government and their corporate cronies to engage in high-tech spying, lying, and harassment, but they have also enabled the public to uncover what the neo-fascist rodents are up to. Already the digital public square is filled with information and rhetoric which the government would prefer to censor, but cannot, posted by Americans fed-up with the corruption, secrecy, and abuses of power in the upper echelons of government and corporations. Even the federal government’s massive self-serving security apparatus and its abettors in mainstream corporate media institutions cannot effectively monitor and control the flow of information anymore. Dissent is harder to marginalize and censor in a digital landscape filled with whistle-blowers, citizen-journalists, bloggers, and alternative media websites (from all across the ideological spectrum). Information outlets such as WikiLeaks, movements such as Anonymous, and whistle-blowers such as Edward Snowden, have created a flow of uncensored critical information. Citizens no longer have to wait for the New York Times to expose the next Pentagon Papers conspiracy – or for the Washington Post to expose the next Watergate scandal. 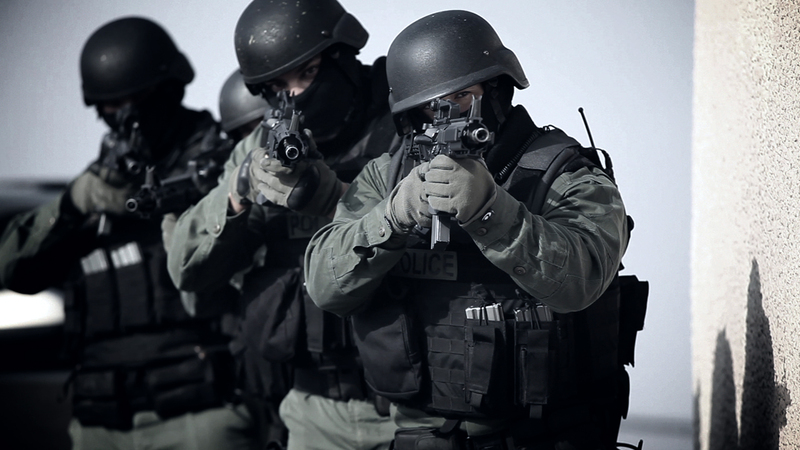 Individuals who are targets of Cointelpro-type operations (“gang stalking”) need to challenge the rodents in our nation’s food chain, and support political reformers – progressives, libertarians, and others – who defend the individual liberties of Americans against the predatory inclinations of powerful government agencies and private corporations. 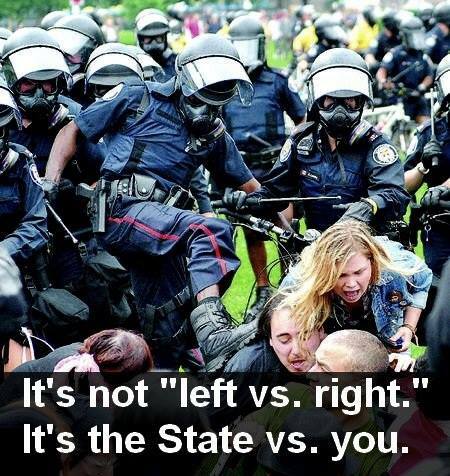 Do not let America mutate any further into a police state; it is time to push back. Norm Stamper, former police chief of Seattle, is an example of a cop who understands that police in America are being used as pawns in a corrupt system of government. That analysis does not excuse the crimes of individual bad cops, but it provides the necessary context for understanding that even good cops are often required to function as elements of an illegitimate machine. Here are some quotes from Stamper from a 2011 interview on Democracy Now! Radley Balko, author of Rise of the Warrior Cop, is another important voice on this issue. He has a blog called The Agitator which is a critique of the militarization of American police agencies. Here are some comments by police officers who agree with him. 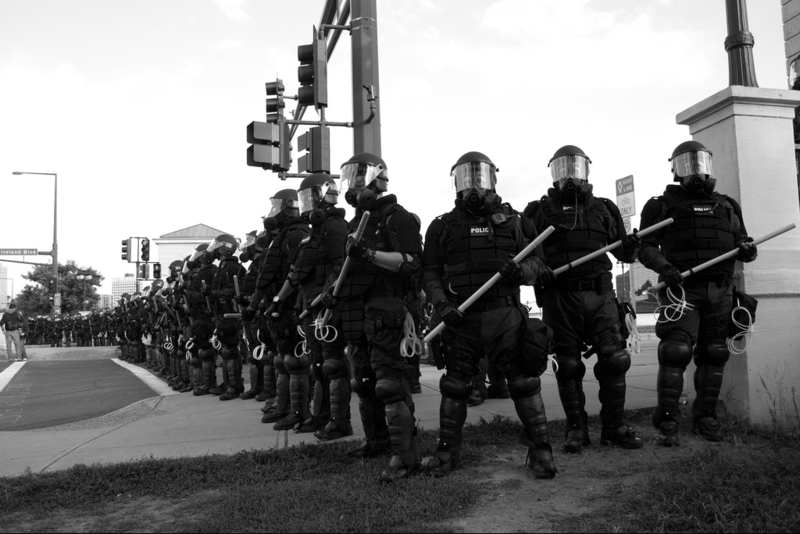 This excellent website features aggregated news stories and commentary about police brutality, the militarization of law enforcement agencies, corruption, bad policies, and civil rights violations. People with power and wealth have always exploited the abundance of bullies in the law enforcement industry by using them as pawns to serve their agendas. Activist Jeremy Hammond is currently serving a ten-year prison sentence for hacking the emails of private intelligence-security firms – such as Stratfor and HBGary – and exposing their role as counterintelligence goons for corporations. Hammond said that he views most American law enforcement personnel as “the boot boys of the one percent.” I could not agree more. Clearly there are exceptions. It would be dishonest and simplistic to characterize everyone who wears a badge or works in the private security industry as a thug. On the other hand, as one becomes familiar with the evidence that organized stalking is widespread, it becomes apparent that even the law enforcement personnel who do not directly participate in gang stalking are guilty of maintaining a cowardly silence about such crimes. In the FBI (America’s primary counterintelligence agency), that code of silence is maintained both by the culture of the organization and by official policies – for example, the agency’s exemption from the Whistleblower Protection Act. In the Patriot Act era in which we live, information is shared extensively among federal and local law enforcement agencies. One of the implications of this is that your local police department officers must know damn well that gang stalking is used as a Stasi-type weapon for controlling individuals deemed to be excessively independent-minded or to be a potential problem for the corporate clients of the FBI. A negative inference about the moral character of most police officials is unavoidable. Under American laws, when the government has legal evidence that someone is a criminal, he or she is investigated, arrested and prosecuted. 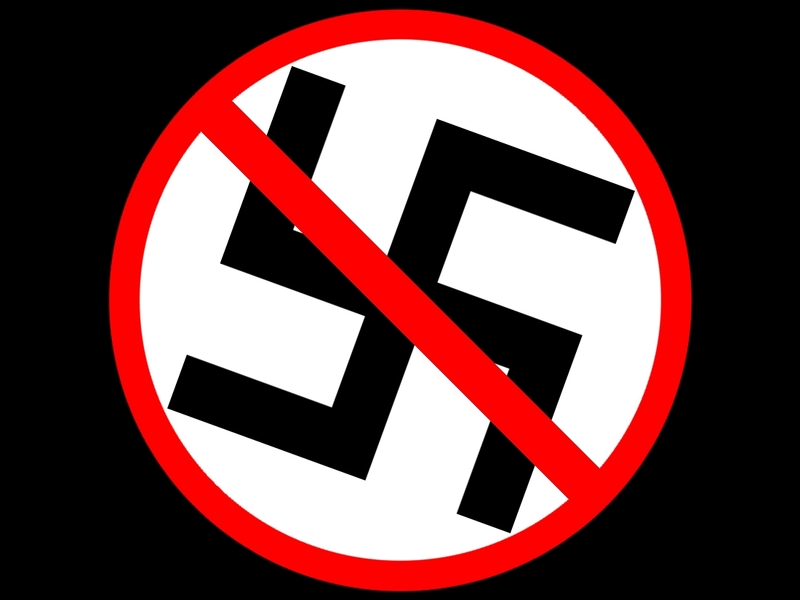 If however, certain government officials – or certain crony corporate clients of the government – wish to suppress and terrorize someone for personal or political reasons, they can target the person with illegal and secret extra-judicial punishment, just as the communists did in East Germany, and just as the neo-fascist criminals in the FBI did during the Cointelpro era. Cops know this, and they remain silent about it. America’s law enforcement industry needs fewer people like J. Edgar Hoover, and more people like Frank Serpico. Every municipality is complaining about local police forces run wild. And no one does anything about it. And our masters are armed to the teeth and would seem more likely to fire at us instead of at the troublemakers. I can’t think of any civilized country that would allow this, from the look of these bulky guardians of the peace, to whom no right-minded person would allow even a slingshot to be given. So, we are a weirdly militarized citizenry governed by the worst elements in the United States, and something is bound to blow up, as I have felt for some time now. In my wanderings around the U.S., I talk to people without money, without power, ordinary voters, as well as nowadays, people maimed by war, or time, or life or whatever, and I am convinced more and more that this is a vicious country in which the police are allowed to run amok, absolutely independent of anyone, and that is why from time to time they are allowed to get away with murder. One surprisingly knew that a wrinkle has been discovered in the seamless surface of our troubled state. Policemen are seldom tried for their crimes, or indeed, held responsible for what they do, which disturbs the peace and causes distress among the orderly. A minute of Gore Vidal comments about the idiocy of undermining the Bill of Rights with the Patriot Act.